Plant Based Diet Advocated by Top Cardiologist Dr Caldwell Esselstyn. 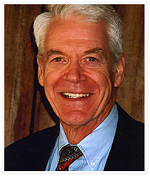 Plant Based Diet Advocates Caldwell B. Esselstyn, Jr., the next guest on the Holistic Health Show, who received his B.A. from Yale University and his M.D. from Western Reserve University. In 1956, pulling the No. 6 oar as a member of the victorious United States rowing team, he was awarded a gold medal at the Olympic Games. He was trained as a surgeon at the Cleveland Clinic and at St. George’s Hospital in London. In 1968, as an Army surgeon in Vietnam, he was awarded the Bronze Star. His scientific publications number over 150, “The Best Doctors in America” 1994-1995 published by Woodward and White cites Dr. Esselstyn’s surgical expertise in the categories of endocrine and breast disease. In 1995 he published his bench mark long-term nutritional research arresting and reversing coronary artery disease in severely ill patients. 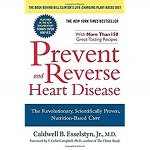 That same study was updated at 12 years and reviewed beyond twenty years in his book, Prevent and Reverse Heart Disease, making it one of the longest longitudinal studies of its type. In July of 2014 he reported the experience of 198 participants seriously ill with cardiovascular disease. During 3.7 years of follow up of the 89% adherent to the program, 99.4% avoided further major cardiac events. The Esselstyn’s have four children and ten grandchildren. Can Fish Oil Boost the Immune System? Many of us know the value of the immune system in disease prevention and cure but can fish oil boost the immune system? Research published in as recent issue of the Journal of Leukocyte Biology concluded that “Fish oil may have immune enhancing properties that could benefit immunocompromised individuals.” Fish oils rich in DHA and EPA have been thought to help prevent disease by reducing the inflammation, but until now scientists were not sure of its immune enhancing effects. This study helped to clarify this by showing that DHA-rich fish oil enhances B cell activity. a white cell, challenging the notion that fish oil is only immunosuppressive. Can Fish Oil Cure Leukemia? Research published in Blood concluded that a compound found in fish oil kills cancer causing stem cells in the spleen and bone marrow of mice by activating a gene-p53-in leukemia stem cells that program the cell’s own death. “p53 is a tumor suppressor gene that regulates the responses to DNA damage and maintains genomic stability” according to the researcher. Killing the stem cells is important because they can divide and and produce more cancer cells. The compound from fish oil that seems to target leukemia stem cells is delta-12-protagiandin J3, or D12-PGJ3. It killed the stem cells of chronic myelogenous leukemia (CML) in mice. Current treatment for leukemia is unable to kill the leukemia stem cells and the patient must continue to take medications or the disease will relapse because stem cells are resistant to the drugs. Thus, this is an important discovery. During the study, researchers injected each mouse with about 600 nanograms of D12-PGJ3 daily for a week. Results showed that the mice were completely cured, the blood count was normal, and the spleen returned to a normal size. There was no relapse of the disease. The researchers are currently studying whether or not the compound can be used to treat terminal stages of CML because currently there are no drugs available that can treat this stage of the disease. The study included 48 men followed over 6 weeks. Men in the low-fat fish oil supplemented diet group were provided food to assure that they followed a low-fat diet supplemented with fish oil The diet provided 15 percent of the calories from fat and was supplemented with 5 grams of fish oil daily. The typical diet provides 40 percent of the calories from fat and usually has high levels of omega-6 fatty acids from corn oil and low levels of fish oil that provides omega-3 fatty acids and that have been found to reduce the incidence of heart disease and to fight inflammation that has been associated with certain types of cancer. The researchers warn against generalizing from this study because of the small numbers and short period of study. Another study in planned that will include 100 men with prostate cancer who have elected to wait and see without any treatment but will receive biopsies and check-ups. The study will randomly divide men into two groups-the low fat fish oil supplemental diet and the typical western diet and follow them for 1 year to evaluate the effect of diet on prostate cancer cell proliferation. Yesterday on the Holistic Health Show Dr Carl O Helvie, Host, Holistic Health Show interviewed Dr Michael T Smith (above left) and Ron Brown. Yesterday, Dr Carl O Helvie, Host, Holistic Health Show interviewed Dr Michael Murray and Dr Michael T. Smith for the opening of the Series on Diabetes.